With the Unfinished Symphony in ever-increasing danger of being discovered, Fearless Fortissimo’s father, Magnus, risks his life to protect his Grandfather’s secrets. Will Fortissimo be there for Magnus when he needs him most? 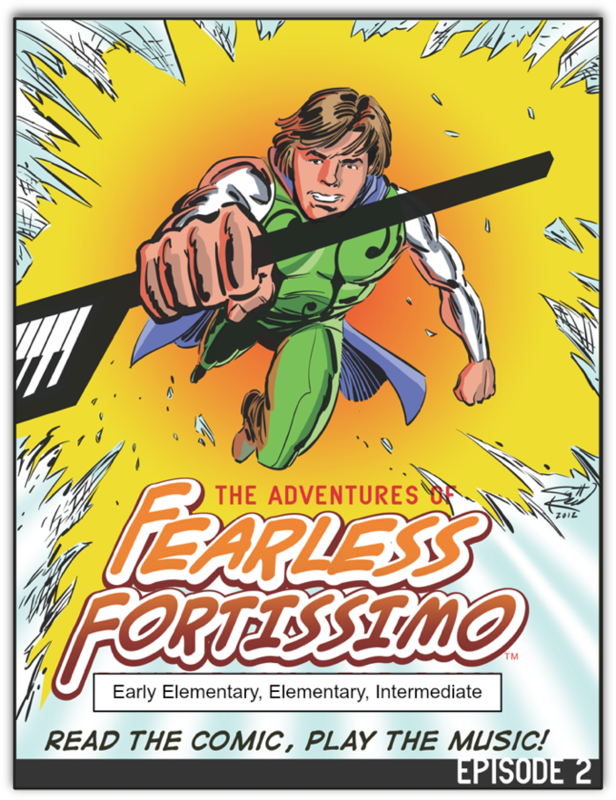 The Adventures of Fearless Fortissimo is a comic-based piano book series. The 3-Book download contains 24 piano pieces in total (8 early elementary, 8 elementary, and 8 intermediate). Now with Fearless Student-Teacher Duets! All of this is delivered instantly in a downloadable eBook. The Adventures Of Fearless Fortissimo, Episode 2 is a product of Teach Music Today Learning Solutions, the Creators of WunderKeys.